Click here to buy Symantec Norton Antivirus Basic from the official website. Manages to score high marks in tests especially the independent lab ones. Extra features such as Password manager along with Antispam and website rating system. Symantec had used its “gap years” very well. 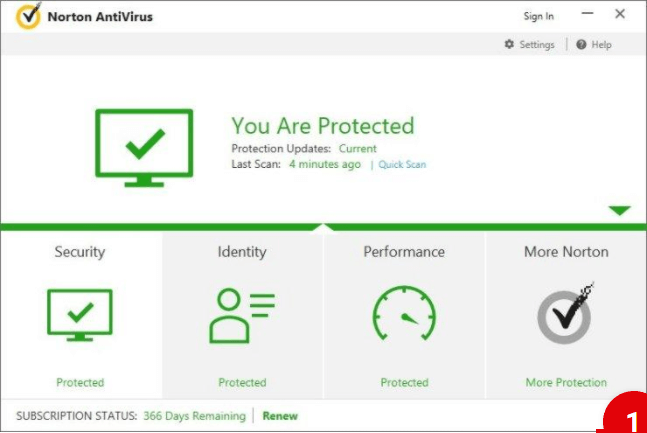 Its antivirus product line is back and it is good. Norton Antivirus Basic manages to score some pretty impressive marks on many antivirus tests including the ones from independent labs. In short, Norton Antivirus Basic is as close to a winner antivirus product that you are likely to get. Symantec rolled out a complete new Norton product line just a couple of years ago. And as expected, that revamp also included the company’s standalone antivirus product. Now Symantec has a large-scale and a multiple platform antivirus security suite rather than an antivirus product. This is also the reason why Norton has not featured in some top ten antivirus products lists on reputable review sites. The other reason why Norton hasn’t made it to the top 10 antivirus lists is that a lot of people don’t know if Symantec still offers an antivirus product. Symantec has reinvented its antivirus product. And in the process of bringing back an old product with new architecture, Symantec has made a winner out of Norton Antivirus Basic. If you want to purchase Norton Antivirus Basic for one computer and for one year then you’ll have to pay $39.99. Norton Antivirus Basic is slightly more expensive than some of the other top antivirus products. Or even more expensive than some of the products that Symantec itself offers. But that’s only when we are talking about the price on a per-device basis. If we’re talking about an antivirus product that is standalone then Norton has a very competitive price. If you can buy Symantec Norton Security Premium suite for $49.99. This subscription plan will last you a year. The premium offer includes protection for up to ten devices if you pay $89.99 per year. It also comes with an incredible 25GB hos online hosting backup. As always, if you are lucky enough you might catch a discount or a sale offer and get Norton for half the price that we have mentioned above. Since it has made a comeback after quite a while, it only seems fitting that we discuss Norton a bit more in terms of its history and the need for Symantec to bring it back. When a PCMAG reporter asked Symantec about why did the company bring back the standalone antivirus product, the representative said that the company saw a great need for a robust, PC-focused and low-cost security solution. He also said that freeware software application currently does not fulfill those needs. Furthermore, he said, Symantec is trying to primary target users who are tech-minded and value oriented. Symantec is also trying to reach out to users who may already have a firewall and a backup system in place. The Symantec representative also said that Norton offered the exact same protection, which is enterprise-grade, that the company offered in its security suite. But Symantec’s security suite offers full tech support. 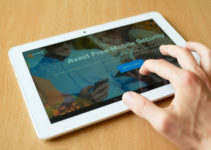 This is basically a guarantee that the company’s support agents will help out the users and would do everything necessary to keep the user’s computer system virus-free. In the case that they don’t, the user can demand a money-back option. Norton Antivirus Basic doesn’t have that guarantee though. Moreover, its tech support is limited, to say the least. You’ll have to do everything yourself as far as solving your security problems are concerned. But you can take advantage of community forums if you want to. Of course, limited tech support doesn’t affect users who are tech-minded or value oriented, but for others, it is certainly a drawback to Norton Antivirus Basic. Moreover, users can’t buy Norton in all markets just yet. If you don’t live in the above-mentioned places then you can simply play the waiting game. Norton Antivirus Basic will become available in your area sooner rather than later. Norton Antivirus Basic has a quick installation process. The Norton installer automatically installs the latest version of Norton Antivirus Basic software application. It also updates the antivirus definitions during the installation phase. We think every antivirus product needs to make their installers update their antivirus definitions by default. Modern users today are too busy to update virus definitions after the installation process is finished. Besides, no one likes unnecessary prompts. In other words, once you install Norton, you are good to go. Symantec will ask you to install and/or enable some Norton extensions for your web browsers after you have finished your Norton installation process. We’ll discuss these extensions a bit later in this Norton Antivirus Basic review. But you don’t have to worry about anything. Norton Antivirus Basic guides the user through the whole process of installing browser extensions. There are explanatory panels along with animated arrows to help the users to through the process as smoothly as possible. Just like every other top antivirus product, Norton too has a main window for its software application. It layout style is very similar to the Norton security suite. It has four big buttons which are placed across the entire bottom half of the main window. Then there is a panel of sorts above those. This panel conveys you all the security status updates if there are any. If the overall color theme is green then this means the user is safe and protected. The main window will show you the message, written in green, “You Are Protected”. When the user is in danger then this text and color theme changes to red. If you click the Fix Now button, Norton will set all the things to their correct status. 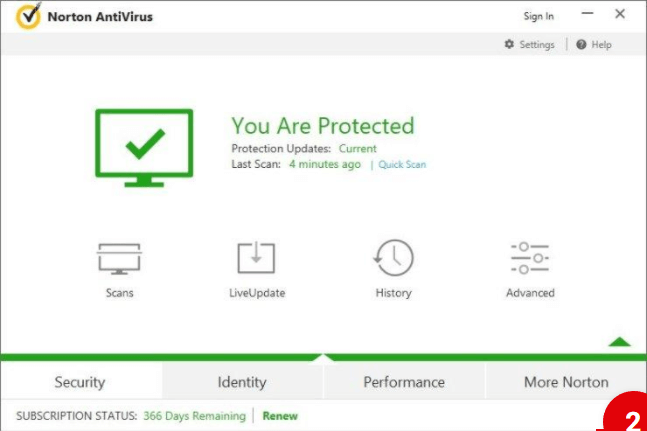 When you review an antivirus product you should always do a clean test system scan. This basically shows you how quickly a given antivirus product would work on your system. Norton Antivirus Basic took about ninety minutes for its full scan. The average time for full scans in the industry, especially for recent anti-virus products, is around 45 minutes. Norton Antivirus Basic has a thorough scan. It checks for a lot of files. So maybe the extra time is justified. 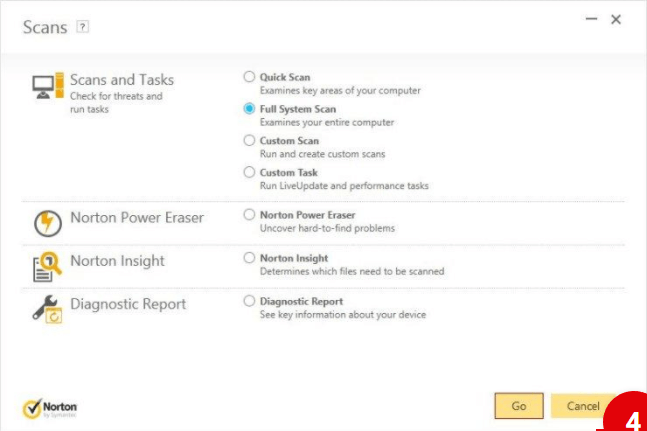 Norton Antivirus Basic also has a Norton Insight scan. This basically tells the user the percentage of the files that come from a trustable source. Then this feature communicates to the user that these trusted files don’t need any scan. If you try to repeat the full system scan then it should take you around ten to twelve minutes. Norton also comes with Norton Power Eraser. This is just another scanner. Its main aim is to eliminate malware that is very persistent. Some users are paranoid about their security. Sometimes they feel that they need another deeper scan that checks for left-behind malware presence. Norton Power Eraser is for that purpose. So use Norton Power Eraser to set your mind at ease and remove every last bit of that nasty malware. We have already talked a little about Norton Insight Scan. It basically speeds up the core antivirus can tool. It identifies the known good files. Then it categorizes them as “not to be scanned”. Norton Insight makes a list of the checked files as well. It also marks the files’ trust level. Moreover, it further categorizes files by their level of prevalence amongst Norton users in the network. Additionally, Norton also filters files by how much they impact computer hardware resources. This is rather a surprise feature for any antivirus product. Norton security suite also comes with this anti spam component. But perhaps, this is the first time Norton has shipped with the same anti-spam feature. 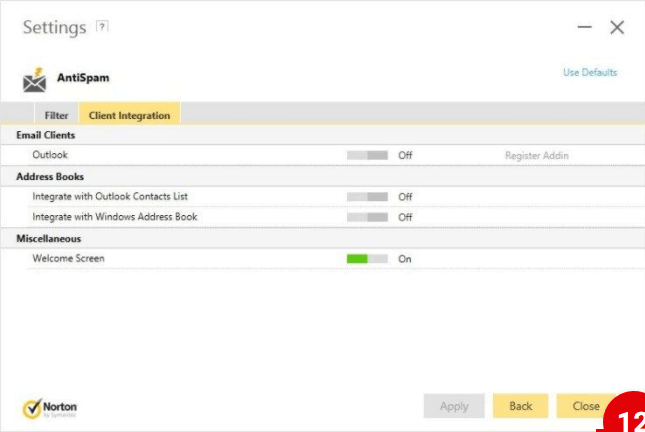 Basically, Norton Antivirus Basic anti-spam feature filters POP3 email accounts. It integrates with other services like Microsoft Outlook as well. Moreover, it takes care of spam messages by tossing them into their own special folder. And it does that without any user intervention. There aren’t a lot of users who have email services that don’t filter spam messages by default. But for those who don’t have such email services, this feature is really handy. The Norton Antivirus Basic toolbar handles things like keeping the user’s web browser from accessing fraudulent or malicious websites. This feature also marks websites on search results page. It marks them via color-coded icons. There is also a special Norton Secure icon marker and this is used to verify shopping websites. Users who want to know more about how Norton Antivirus Basic flags a given website, can click through the marking and read the resulting detailed report. Users also have the option of installing Norton Antivirus Basic Safe Search feature. This is basically a search provider. And users can also set it up as their home page. This feature is a password manager that comes with Norton Antivirus Basic. But users can also get Identity Safe for free as a download. Of course, if a company bundles it with their anti-virus product then that is great because of how convenient it is. Norton Antivirus Basic also has a link to Symantec’s online password generator should a user require it. Modern computers don’t have problems such as Disk fragmentation. Most modern versions of operating systems such as Windows, manage fragmentation in the desktop background. However, some users still use older versions of Windows. And hence require the help of a Disk Optimization tool. Needless to say, Norton Antivirus Basic has one just for them. The tool is smart though. It doesn’t waste resources and time doing any defragmentation if it realizes that the user’s disk is only marginally fragmented. Some users have PCs that slow down over time and become a drag. Well, Norton can help users put a spring back into their machine’s step. And Norton Antivirus Basic does that with its tune-up utility. Norton also has a File Cleanup component. But it isn’t as effective as the abilities offered by some of these purpose-built tools. 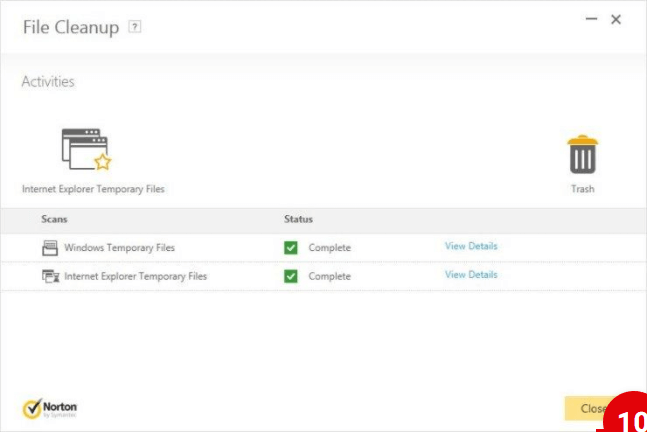 Such features are great if the user wants a quick and easy solution to wiping out temporary files. This feature works for both the Internet Explorer and Windows. Most modern users tend to install a lot of applications that launch themselves at startup. This uses a lot of resources. Most of all, these applications don’t do much other than hanging around and eating up memory along with other system resources. If a user has a large number of such applications, then it can take a long time to boot up the user’s machine. Norton Antivirus Basic Startup Manager manages all of this. It lists out all such programs and applications. It then identifies the resource usage of all such startup apps and programs. After that, it lists them according to the prevalence of these apps among the Norton user community. Norton Antivirus Basic Startup manager gives the user the ability to reversibly disable any of these apps and programs. If the user has an application or program that does not need to launch at startup then the user can disable it using Norton Antivirus Basic Startup Manager. This feature also allows the user to launch some of these apps with a little delay as well. This speeds up the whole startup process. Of course, this feature isn’t unique. In other words, some other standalone system tuneup utilities also offer the same features. As alluded to earlier, Symantec has shown very little interest in submitting Norton Antivirus Basic to independent labs. 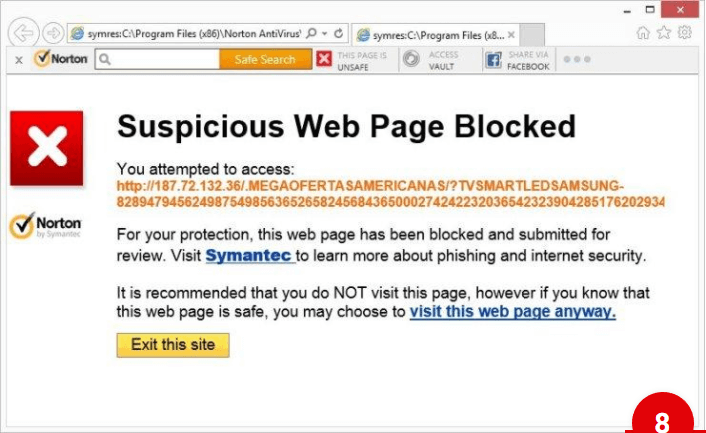 But the ones Symantec has submitted its product to, they have all ranked Norton Antivirus Basic extremely well. In other words, Norton Antivirus Basic has scored some excellent marks in independent lab results. This is very similar to another top antivirus product such as Kaspersky Anti-Virus 2017. 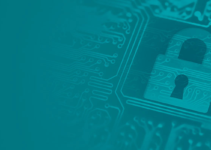 Kaspersky and Symantec both do not participate in ICSA Labs certification tests. And more power to them because both antivirus products are great. The Virus Bulletin RAP, which stands for reactive and protective tests also does not rate Norton Antivirus Basic and Kaspersky. That leads us to talk about AV-Test Institute tests first. AV-Test Institute is a very reputable name. AV-Test Institute assigns up to six points for each of three above-mentioned categories. Symantec Norton Antivirus Basic basically aced the false positives and protection components of AV-Test Institute tests. But it did lose half a point in the performance category. This lead Norton Antivirus Basic to a total score of 17.5. Kaspersky scored a perfect 18 though. While other another antivirus products such as Bitdefender Antivirus Plus scored 17 in the latest round of tests. AV-Comparatives also carries out a lot of antivirus tests. Five of those are what we consider as relevant to our Norton Antivirus Basic review. As far as the five tests of AV-Comparatives go, Bitdefender and Kaspersky always come out on top. Both of the above-mentioned contenders have scored top ratings in all of the five AV-Comparatives tests. More specifically, it has a long-standing disagreement with AV-Comparatives on the lab’s test methodology. Therefore, Norton Antivirus Basic does not participate in AV-Comparatives lab tests. Regardless, it did receive AAA certification in Simon Edwards Labs. The AAA rating is the best rating Simon Edwards Labs can give out of its five certification levels. Other top antivirus products such as Kaspersky also scored a rating of AAA. And some of the other top antivirus products also scored the same. But many of the top antivirus products scored less than Norton Antivirus Basic. MRG-Effitas tests have become quite relevant in the last couple of years. Many review sites follow its tests to rate antivirus products. And that is exactly what we’re going to do here as well. One of the MRG-Effitas tests is related to banking malware. Which we think is very relevant given the current state of cyber crimes around the world. But MRG-Effitas offers other more comprehensive tests as well. It tests for a whole range of malware on its test antivirus products. Most of the times though, the majority of the antivirus products that go through MRG-Effitas tests fail it. Because they have a very inconvenient methodology to test antivirus products. Needless to say, thankfully Norton Antivirus Basic passed the banking malware test. As far as the MRG-Effitas tests go, if an antivirus product earned a Level 1 certification then that means the tested antivirus product completely blocked the installation of all malware samples. If an antivirus product earns a Level 2 certification, this means that the tested antivirus product remediated all incoming malware infestations within a given set time frame. No antivirus product earned a Level 1 certification as far as the latest round of malware testing is concerned. Moreover, very few antivirus products even managed the Level 2 certification. Thankfully, again, Symantec earned a Level 2 certification along with Kaspersky and Webroot. Overall, Norton Antivirus Basic beat most of its competitors. Which is great since its competitors are no slouches. The results from the three independent lab reports have forced us to give Norton Antivirus Basic a rating of 9.5 or higher out of 10. If we are talking about results from the four above-mentioned independent labs then Kaspersky is the best that has an overall score of 9.9. Norton Antivirus Basic has excellent malware protection. It is not enough to just rely on independent lab results to rate an antivirus product. One has to perform his/her own tests as well. These are what we call hands-on malware protection tests. Sometimes, these tests don’t corroborate what independent lab results say. In that case, one should always go with independent lab results because they have more resources and professional grade testers. Norton Antivirus Basic though, performs equally well on both tests. Our research for this Norton Antivirus Basic review shows that to test any antivirus product on your own you have to test it with malware samples. These malware samples are available at many online resources in the form of folders. One can then open these folders on a computer that has the test antivirus product installed on it. After opening the folder, one should observe how the test antivirus product performs over a given period of time. Whenever Windows Explorer checks file details it always does so via minor file access. This is enough for Norton Antivirus Basic to trigger its on-access scan feature. Our research for this Norton Antivirus Basic review shows that we should expect Norton Antivirus Basic to eliminate 52 percent of the malware samples on minor file access. That percentage isn’t great by any measure. But it isn’t bad either. Kaspersky wipes out about 70 percent on such malware sample tests just to give you a comparison. Other top antivirus products such as Emsisoft Anti-Malware can catch over 80 percent of these malware samples. As mentioned before, no antivirus product can eliminate all malware samples in the beginning. Therefore, one should launch the malware samples that survived the initial elimination period as well. At this test, Norton Antivirus Basic came up with the right answers as well. In all case, Norton Antivirus Basic blocked the malware samples from even launching. Forget about residual malware hurting your computer. Norton Antivirus Basic can catch malware samples based on their behavior. Then it can even completely reverse the malware sample’s effects on the user system. Norton Antivirus Basic has a detection rate of 97 percent. And this means it scores high on our malware test research as well. The only other product that outperforms Norton Antivirus Basic in this malware test is Webroot which scores a perfect 10 out of 10. The fact is malware samples that are used for various malware-blocking tests almost remain the same for a consistently long period of time. But sometimes it can take a person a lot of time to come up with the right malware samples. Therefore, to test antivirus products more thoroughly one should also test its protective ability via malware-hosting URLs. This test is now easily done. By using a regularly updated feed. Thankfully, MRG-Effitas supplies this feed on a daily basis. One can test any antivirus product with these URLs to see if the test antivirus product diverts the user or the web browser away from the malicious URLs. Good antivirus products not only divert but also wipe out malware during or even right after a user download. Sometimes, bad antivirus products do nothing and sit in an idle state while the user downloads malware-ridden payloads from malicious URLs. To make the test sensible, one should test the antivirus product with at least 100 verified malicious URLs. In this category of tests, Norton is perhaps the best antivirus product. Because it has excellent protective abilities. It blocks around d98 percent of all malicious URL downloads. 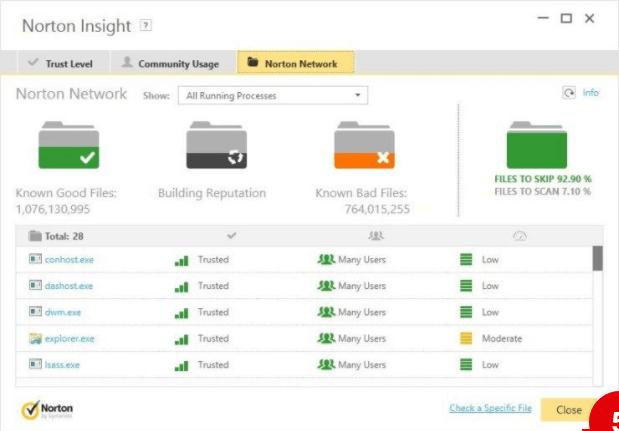 Most of the times, Norton Download Insight does its job to perfection. And it does so rather visibly. If it detects that a download has malware in it, Norton interrupts the download. Norton Antivirus Basic can also perform on-the-fly malware analysis after the user has finished downloading a file. Norton Antivirus Basic can also identify a file as malicious or normal. The only other antivirus product that does the same is Avira Antivirus Pro. It has a detection rate of 99 percent. And it fends off malware-hosting URL on a comprehensive basis. Norton’s browser extension for phishing protection has consolidated its position as the king of phishing protection for many years now. It does an excellent job of protecting users from all those filthy phishing websites. To trick visitors and steal their login credentials. Most of the time these phishing sites masquerade as legitimate websites. Norton’s phishing protection is so good that reviewers sometimes don’t give ratings to other antivirus products on phishing protection. They just give percentage marks based on how Norton performs in phishing tests. Norton detection rates form the benchmark for all other antivirus products. Then protected one of them with the antivirus product under testing. Another browser should have Norton protecting it. And the other three web browsers should only be protected by their built-in phishing protection tools. Then one has to scrap the online web for the latest reported phishing websites. One should also try to test antivirus product’s phishing protection with phishing sites that are new. So new that they haven’t even made the blacklist yet. This is the best way to test any antivirus product’s phishing protection feature. Because phishing sites are transient in their nature. By the time some service blacklists them, they have already died. Norton Antivirus Basic, just like most of the other best phishing products, makes use of real time analysis. This allows it to supplement the already present blacklists. To test an antivirus product, one has to launch a phishing site on each of the five browsers. If a browser shows an error page, then that means it is time to discard the phishing site URL. And if a URL is not a phishing site URL then that URL must not be used. To really test an antivirus product one has to test it with at least a hundred phishing site URLs. Since Norton is the product that is under testing, this test is a bit different from others. To score Norton Antivirus Basic against the other three browsers, one has to average out the three browser’s results. And then compare that single result with Norton’s. Our research for this Norton Antivirus Basic review shows that Norton can detect up to 35 percent better than Internet Explorer, about 23 percent better than Chrome and 53 percent better than Mozilla Firefox. That result is impressive for a variety of reasons. The major among those reasons is that about a quarter of all recent antivirus products fare worse than the three standalone browsers that we included in the test. There are very few antivirus products that can compete with Norton when it comes to phishing protection. And even fewer can beat it at phishing protection. Webroot is one of those very few antivirus products that beat Norton at phishing protection and it did so by 1 percentage point. Bitdefender also managed to beat Norton Antivirus Basic by 2 percentage points. The top position though, went to Kaspersky for beating Norton by four detection rate percentage points. Intrusion prevention feature always goes well with a firewall protection feature. But, of course, that isn’t always the case. Intrusion prevention feature doesn’t even need a firewall for its functioning. Norton Antivirus Basic has no firewall protection. But it does have a powerful intrusion prevention feature. This is the same feature that Norton security suite has. Moreover, Norton has specifically made the Intrusion Prevention feature as the brand’s exclusive feature in all its products. To test Intrusion Prevention feature, the best way is via exploits. One can use Core impact penetration tool to generate these exploits. What does an exploit attack do? It tries to gain access and control the user’s, or now the victim’s, operating system. It may also try to access an important app and take control of it. Exploit attacks can achieve that by taking advantage of any security hole in the target’s machine. Norton Antivirus Basic tries to block these exploit attacks. And it tries to do it at the network level. That’s how it prevents exploits from even reaching the user machine with as little as a trace. Our research for this Norton Antivirus Basic review shows that Norton Antivirus Basic did catch a lot of exploits. But after a while, Norton Antivirus Basic started to show error messages for the rest of the exploit attacks. Of course, Norton Antivirus Basic Introduction Prevention AutoBlock did detect multiple exploits that came from the same IP address. Consequently, the feature set itself to prevent/block all traffic from that specific IP address. And it continued to do so for about thirty minutes. Some reviewers have found this to interfere with the reviewing process and hence disabled the feature to continue the review. Overall, Norton Antivirus Basic blocked more than 60 percent of the exploit attacks. For 37 percent, it identified the exploit attack via the attack’s actual name and then reported another name, a generic one, for over twenty percent. Most of the competing antivirus products can’t match Norton Antivirus Basic performance. Norton Antivirus Basic catches exploit attacks at the network level. Most of the antivirus products out there in the market can only eliminate the exploit attack’s payload file. Norton Antivirus Basic isn’t just a great antivirus. Symantec has made Norton Antivirus Basic’s return a successful one. It has great lab test scores. That holds true for all sorts of malware tests including the ones that independent labs carry out on their own. Norton Antivirus Basic has a lot of bonus features. All of these bonus features make Norton Antivirus Basic even better when it comes to value for money. Symantec has a strong line up of security products. But somehow, Norton Antivirus Basic manages to improve it. In the past, Symantec has tried to focus only on security suites but Norton Antivirus Basic shows that the company can make a serious comeback in this niche as well. In short, Norton Antivirus Basic is one of the best antivirus products available in the market today. It can easily compete with the likes of Bitdefender Antivirus Plus, McAfee AntiVirus Plus, Webroot SecureAnywhere Antivirus and Kaspersky Antivirus. This is quite a company to have for any antivirus product. And this is the best part about the modern age of anti-virus products. There are just so many great options to choose from.